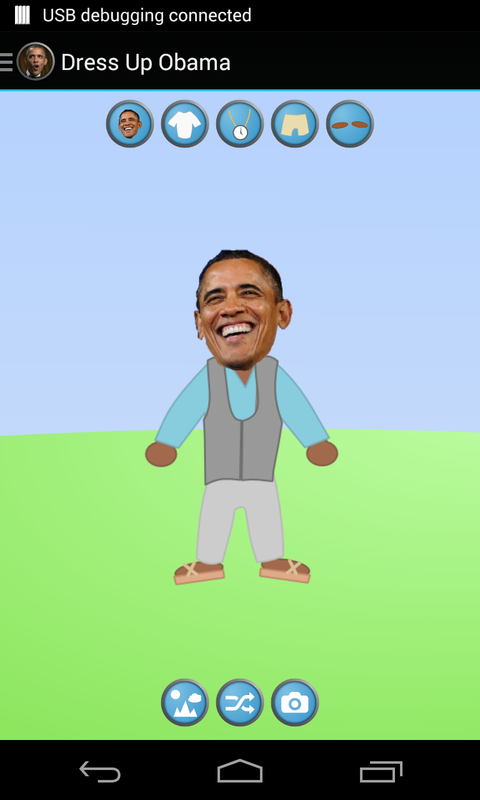 Pocket Obama is a fun free novelty game that lets you dress up your favorite Nobel Peace Prize winning president in different fun and colorful outfits. 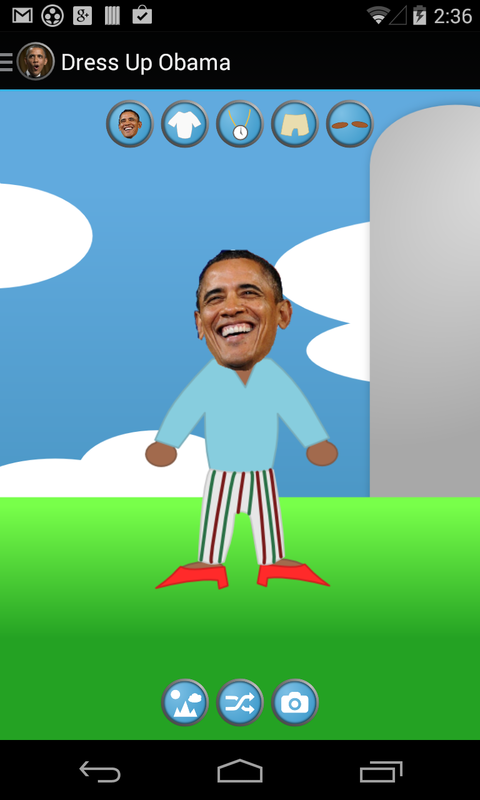 Pick different shirts, pants, shoes, and coats, alone with different background scenes, and create your very own Obama! 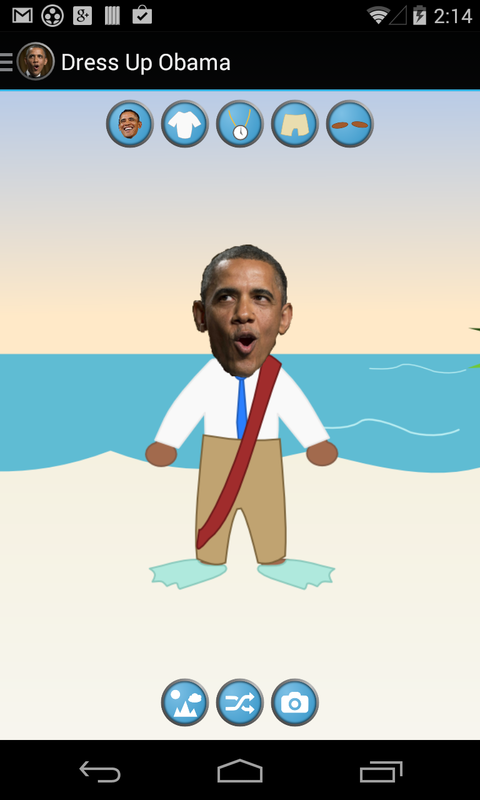 Then you can save your Obama to your device and even share him on your favorite social network! It's like having a president in your pocket! Created by the makers of Pocket Grandpa.